Locality: United States, Colorado, Mesa, Summit of Uncompahgre Plateau; 3 mi west of Cold Spring Ranger Sta. ; Uncompahgre N.F. Notes: Var. adenotricha Fern. & Macbr., det. W. A. Weber, 1966. / Arctostaphylos uva-ursi (L.) Spreng, det. Thomas James Rosatti, 1983. 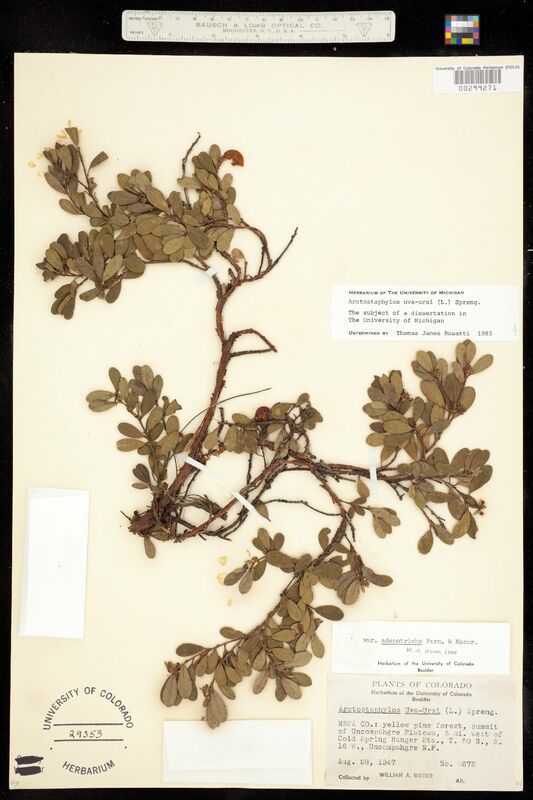 Original ID as Arctostaphylos uva-ursi (L.) Spreng.